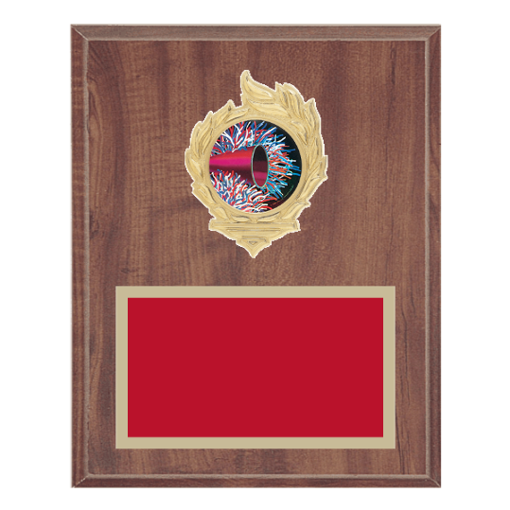 An uncommon twist to the traditional Majorette Medallion Plaque, our Flame Series 8" x 10" Majorette Plaque is in a class by itself! You choose a Majorette Insert, up to eight plaque board options and nine different engraving plate colors to create your own Custom Engraved Majorette Plaque with our easy to use, easy to navigate Web app. Nobody's faster with the same high quality standards as Newline Trophy - the home of FREE engraving.